Most of standard #7 focuses on the middle and high school levels, so just the portions pertaining to Kindergarten will be the focus for today’s post. The standard will appear in blue, and a summary of its ambient counterparts along with references to where the lessons and activities may be found in this blog will follow. Mathematically proficient students look closely to discern a pattern or structure. Underlying pattern and structure lies at the very heart of math. The Waldorf curriculum deeply focuses on this, math’s most compelling and meaningful aspect. As such, this aspect is by far of the greatest interest to students and teachers, since a teacher who is excited and enthused about the subject at hand will be most successful at teaching it. A focus on pattern and structure begins in the Kindergarten, with observations in nature, rhythmic recitation and movement, and an awareness of the cycles of time, to name just a few. In math, a thorough and basic foundation is built with materials that are introduced in a structured way then made available for free play. Many blog posts address this. 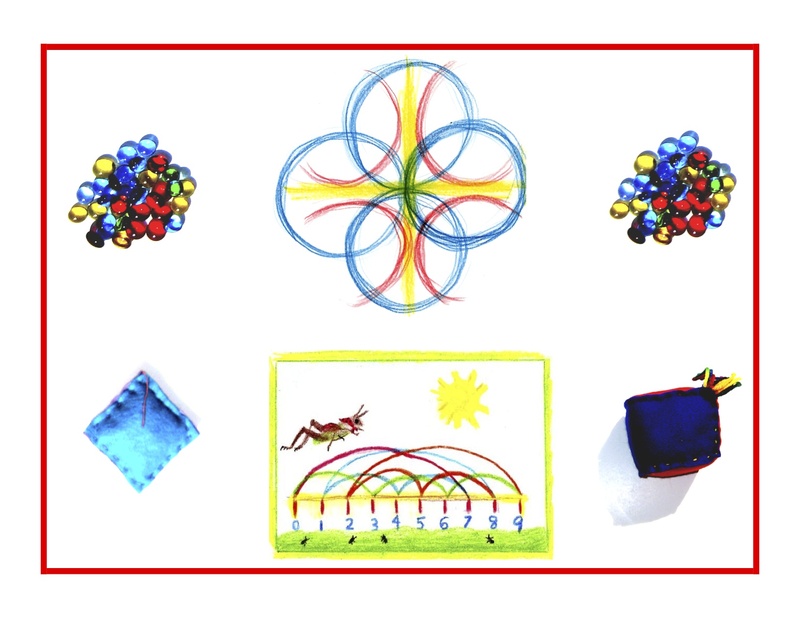 For example, the beans and jars on Day 4, the counting stones on Day 5, the written numbers in sand or on slate with water on Day 6, the circles and flags on Day 9, a knotted rope on Day 10, all show pattern in numbers and the various ways they come together. Parallel comparisons like the one mentioned above can easily happen with any of these delightful hands-on materials. And allow me to repeat that tremendous value lies in partnering with the child(ren) to make their own learning materials! or they may sort a collection of shapes according to how many sides the shapes have. This can be taken to an even more complex level with the activities suggested on Day 16. The sandpaper and wooden flat shapes allow for an in-depth look at how the shapes compare. For example, with the wooden triangle superimposed on the sandpaper square, lines and numbers of sides become immediately and very experientially clear. In the math corner free play with the “guess the shapes” pouch, the child(ren) will most likely sort and compare the shapes as described above. Creating large models of the shapes by outlining them with string and pegs on the ground affords another opportunity to explore and compare shapes. They recognize the significance of an existing line in a geometric figure and can use the strategy of drawing an auxiliary line for solving problems. 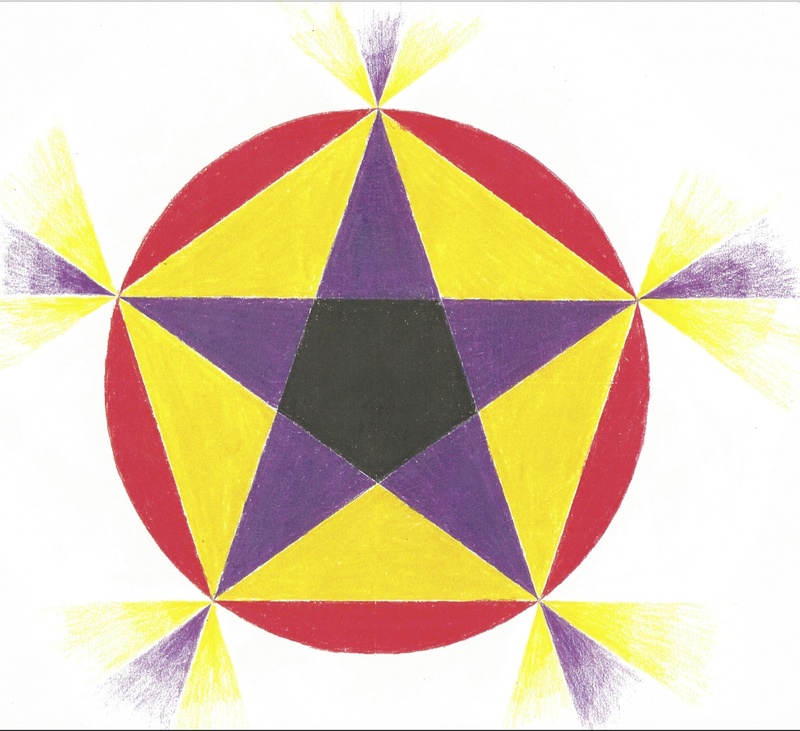 These foundational roots flower into form drawing in the first through fifth grades, then beautifully constructed geometric forms in the sixth grade. The form above is an example of a grade 2 form drawing, focusing on horizontal and vertical symmetry. This brings us back full circle to the deep focus in Waldorf Education: the archetypal forms found all around us and in nature. These forms resonate very deeply with the children. I taught form drawing every Monday in my Waldorf second grade class, and more often than not after formally learning and drawing the form, the children would spontaneously draw it over and over on the chalkboard during recess. See below for my daughter’s sixth grade geometric drawing of a pentagram. Knowledge ensues in an environment dedicated to imaginative, creative knowing, where student and teacher alike surrender to the ensuing of that knowledge as a worthy goal. Tune in tomorrow for the Kindergarten Standard for Mathematical Practice #8.